Beginning climber trying to put together a trad climbing rack? 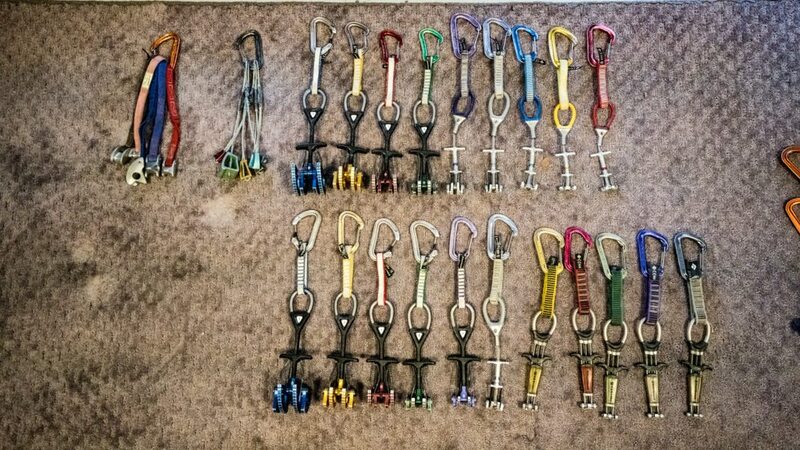 I often get asked about what first pieces of trad gear the beginning climber should purchase. 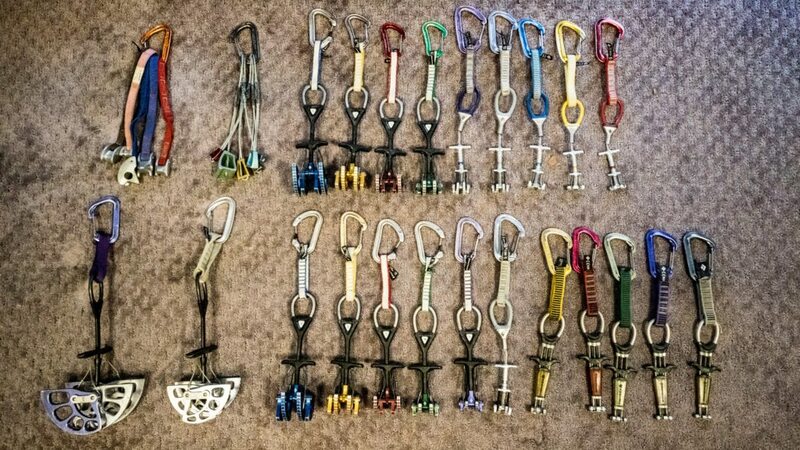 Most new climbers are not looking to go out and spend $3000 on a full trad rack and want to know what pieces make the most sense to buy first. So here are some of my suggestions on what you might want to purchase first. From here you can expand into all kinds of specialized protection like big bros, offsets, and many other size specific and placement specific protection based on your goals for climbing. I have found that the high-end standard rack will get you through most destinations in the US. 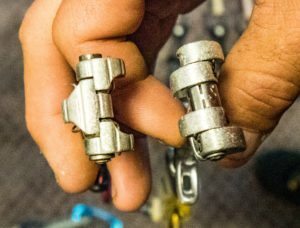 Newer leaders might want triples in cams to feel comfortable on multi-pitch climbs where they are building anchors whereas seasoned leaders might feel quite comfortable with a more minimalist rack. 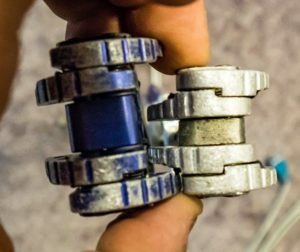 When you are climbing at your limit you might also want to have a few more pieces on hand as you will probably want more gear to feel comfortable. If you look at head width on the X4 compared to the C4 there is almost one cam lobe difference. This means the X4 will fit in smaller placements. However the X4 in the bigger sizes can get floppy making it hard to place and even harder to remove. I really see this start at the 0.5 (purple) and up. So the larger pieces could be good for aid climbing but not so much free climbing. 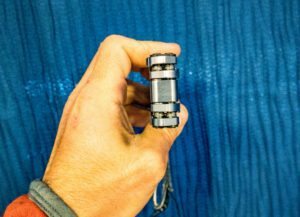 The Ultra light cam is amazingly light but this comes at a bit of a cost in dollars, strength, and durability. So first thing first; I do not recommend getting the UL in the 0.4 and 0.5. For one the weight savings is so minimal (around the weight of a locking carrabiner for both), and secondly the stem cap is so large in these two pieces that when overcamed they are very likely to become stuck. The UL has a dyneema sling that will not wear as well as the nylon on the C4s. I tend to replace my dyneema slings about every 6 to 9 months depending on use. I have some nylon that is almost 4 years old on my rack and still has some life in it. So if you are replacing cams every year, the ULs could be worth it except… PRICE! Whoa, these are expensive! How could any dirtbag afford these? My suggestion is to start with the big ones as they will save you the most weight, and if you feel the need or win the lottery buy some smaller ones. I recommend #1-#3. C3 vs C4 and X4. The C3 does have a weird stem that some folks like, and others dislike. They are also made in micro sizes that are for aid climbing only. As Black Diamond has stated, “These are for aid only, with a nod to the free climbers”. So I recommend these pieces for those who are wanting to expand out of the normal rack with options in the smaller sizes. Also of note the 0.3 C4 and 2 C3 are basically the same size. So you can swap one for the other depending on needs. These are suggestions based on what we have found works best for us and our clients over the years. Please weigh in with your comments, and let us know what you think!